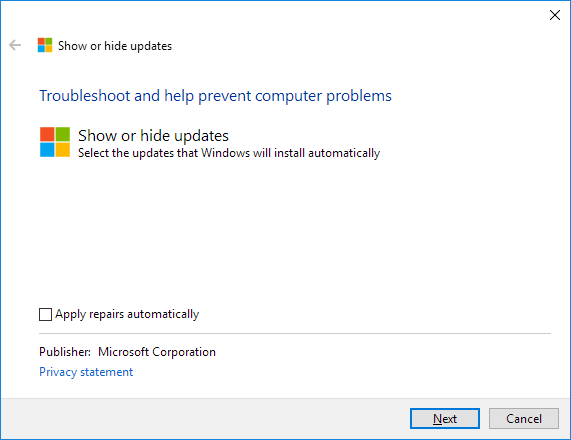 Recently one of my computers was performing slowly and I decided to close some programs. The computer has rebooted from a bugcheck. The bugcheck was: 0x0000007f (0x0000000000000008, 0x0000000080050031, 0x00000000000006f8, 0xfffff9600025c28c). A dump was saved in: C:\Windows\MEMORY.DMP. It mentioned that a common cause for this error was kernel stack overflow. Noticed that 0x5CA0 = 23712 bytes is very close to the 24K kernel stack limit for 64-bit Windows. 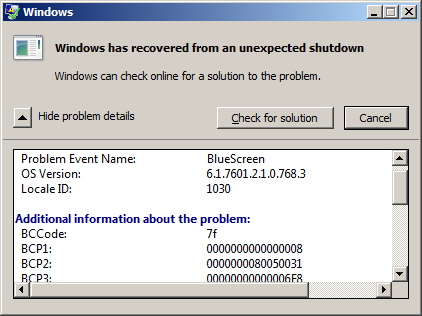 The most likely cause for the BSOD was indeed kernel stack overflow. LegalCopyright:   © Microsoft Corporation. All rights reserved. 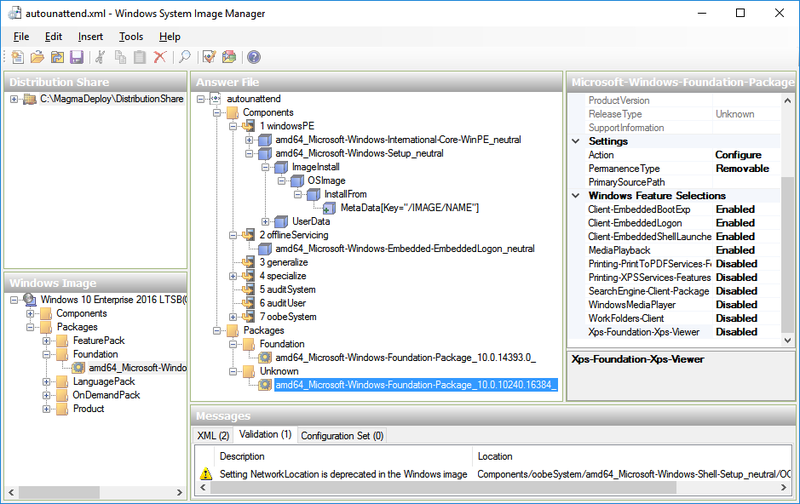 Noticed that win32k.sys had been updated recently. Knowing that win32k.sys interacts with the graphics driver, I decided to update this to the latest version. The Lenovo Thinkpad T440p (and other models of that generation) is delivered with a touchpad, without separate physical left, middle and right buttons. Instead the entire pad clicks and reacts depending on the area touched. In my subjective opinion these buttons feel spongy and imprecise. In use it’s common to make mistakes by clicking another button than expected. This makes the laptop less productive and frustrating to use. 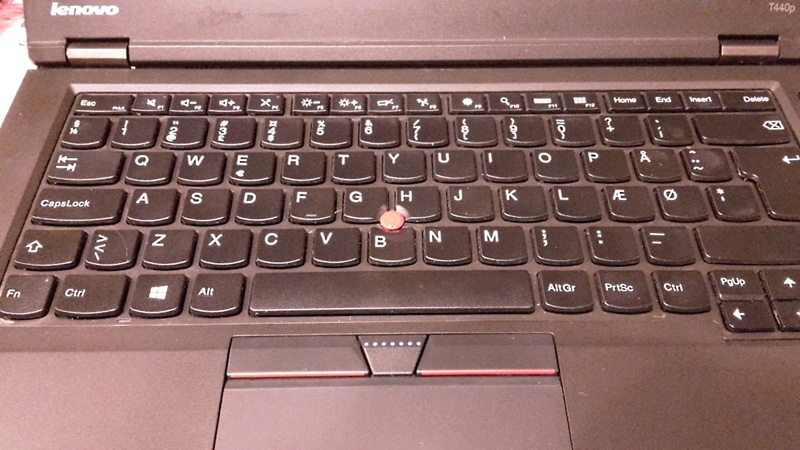 However it’s possible to replace the touchpad with the one from the Lenovo Thinkpad T450, which has 3 separate, physical trackpoint buttons. 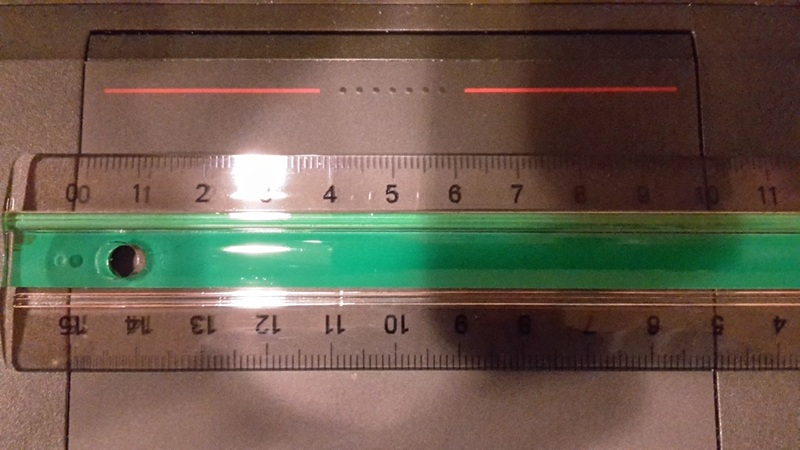 The first challenge is getting the right replacement part, with the dimensions 10 cm x 7,5 cm. It’s not available as a separate part from Lenovo, but is sold as part of the keyboard bezel. 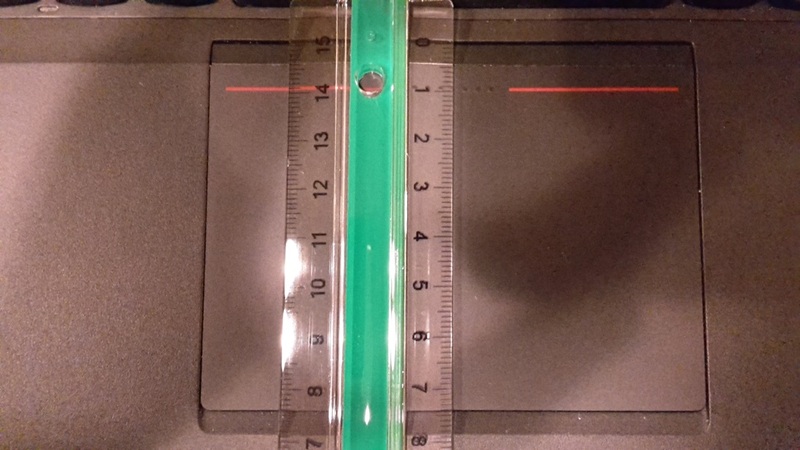 Be careful with online sellers claiming to sell touchpads that fit a long range of Thinkpad models. They may fit electrically, but possibly not physically. If you are considering performing this replacement, please verify that the part fits your particular Thinkpad model. The next challenge is to disassemble the laptop and performing the replacement. I refer to the hardware maintenance manual and online guides. The final challenge is to solve driver problems on Windows. The hardware ID for the touchpad is on the motherboard, which remains unchanged. 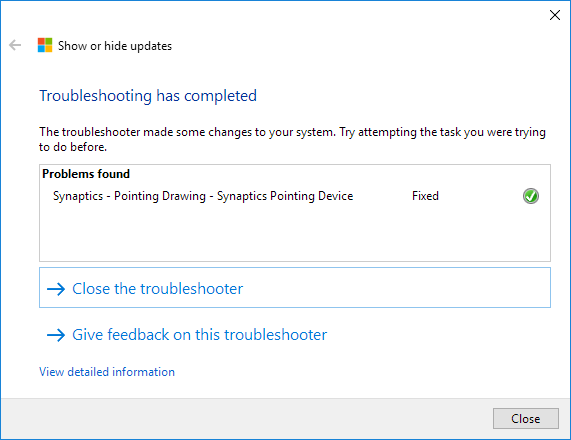 The default Synaptics Pointing Device drivers are not compatible and won’t work. 1. Connect a USB mouse, because the trackpoint won’t work reliably until these steps have been completed. 2. 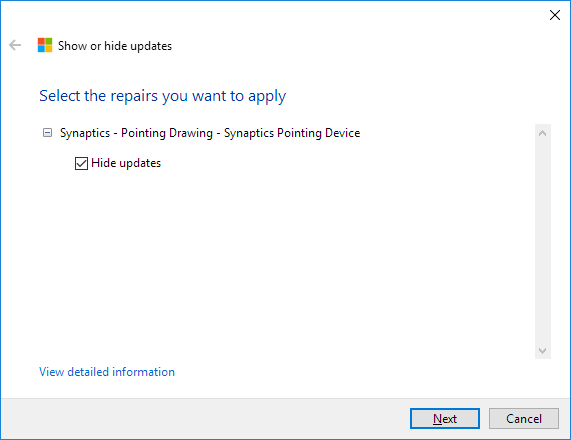 Uninstall the Synaptics Pointer Device drivers using Programs and Features. 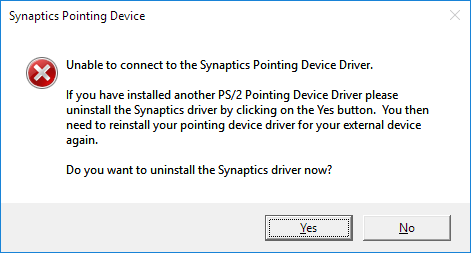 If asked: Do you want to uninstall the Synaptics driver now? 6. Now the trackpoint and 3 physical buttons should work with a default mouse driver. 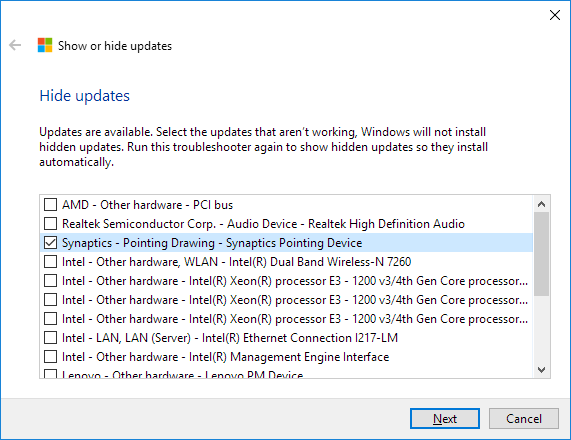 With Windows 10 extra steps are needed, because it can automatically install incompatible drivers. 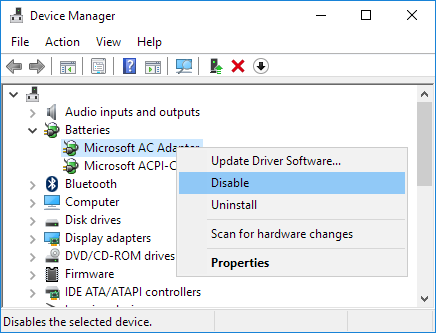 Be aware that fully compatible drivers can be downloaded and installed from Lenovo, which will enable full touchpad functionality. However I’m currently satisfied with a trackpoint and 3 physical buttons, so I have not found the correct drivers or procedure yet. I was testing some Reporting Services reports, but the test data was fairly old and some datasets were linked to the date, so I wasn’t getting proper results. Instead of modifying the test data or the queries, the easy solution was to disable time synchronization and change the system time to 3 years in the past. Suddenly the server shut down automatically with no warning. No chance was given to save open documents or to cancel shutdown. I started up the virtual machine again and noticed that the system time had been reset. Comment: The license period for this installation of Windows has expired. The operating system is shutting down. 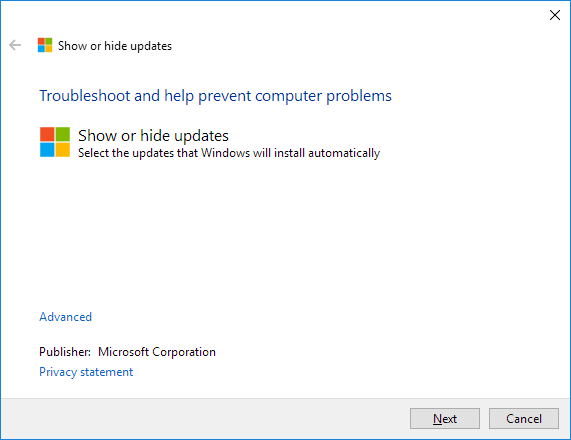 Be aware that Windows was activated and continued to be activated after it was restarted. 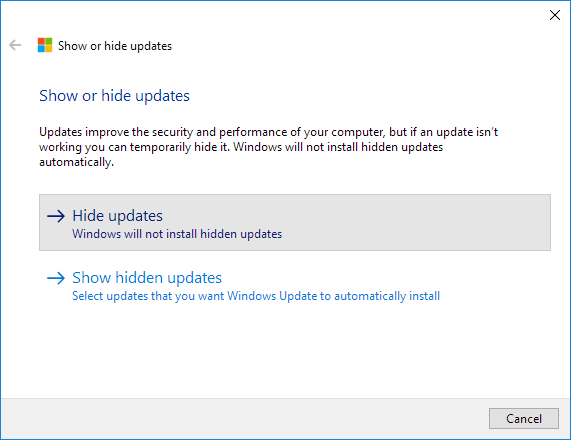 This happened with Windows Server 2012 R2 Standard, but I suspect it’s an issue with other versions and editions. Apparently Windows doesn’t tolerate running with a wrong system time, even for testing purposes. 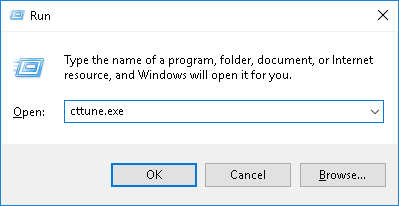 Fortunately wlms.exe is only present on evaluation versions of Windows, so this particular issue should never occur on production systems. In any case, a correct system time is always desired for a number of things like logging dates, scheduling, synchronization, certificate validation and so on. If the power supply was connected when the computer was running it would seemingly freeze: Mouse and keyboard became non-responsive. However it was not a full freeze or crash, because music from a mediaplayer would continue. If the power supply was disconnected, then the computer became responsive again. One way to avoid the problem was to connect the power when the computer was sleeping or turned off. It was an annoying problem and some people would assume the computer had crashed. I recently encountered problems when testing unattended Windows deployment. A PowerShell script for setting up ShellLauncher did not seem to run. This puzzled me because –ExecutionPolicy seemed correct. included, verify that the path is correct and try again. I examined which character was actually used instead of minus. It was – (en dash, 150) in Windows code page 1252 Latin 1 (ANSI). 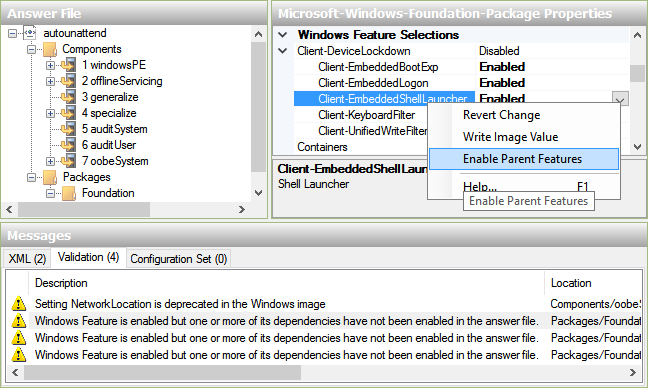 PowerShell expects minus for options and interprets en dash as part of a cmdlet, function, script or program name. No matter what code page and encoding is used many characters look similar to human eyes, but not to a computer. If you encounter syntax problems for code or data that looks correct, I recommend checking the encoding and the actual character bytes with a hex editor. 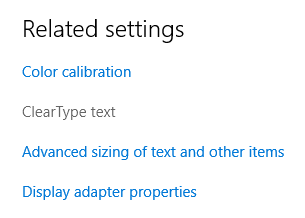 I noticed jagged text on a computer running Windows 10. It was particularly noticeable with Firefox and Chrome. 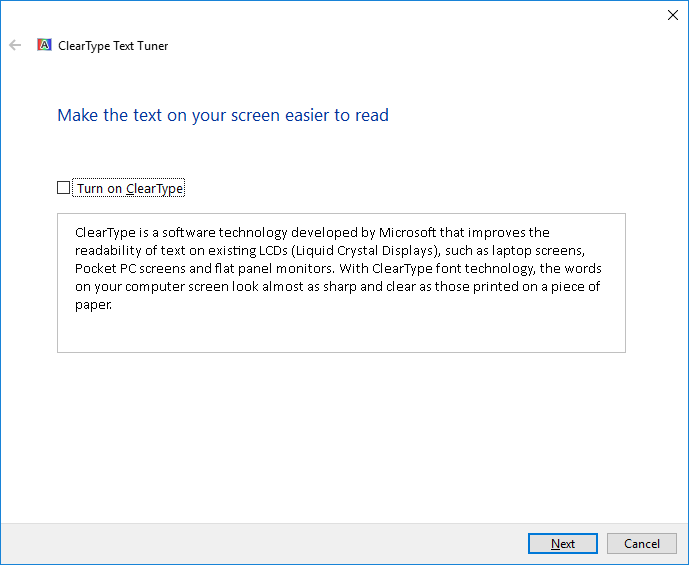 I opened Advanced display settings and tried to open ClearType text. This was possible and I noticed that ClearType was disabled (as expected). And completed the guide to adjust ClearType optimally. That solved the problem. 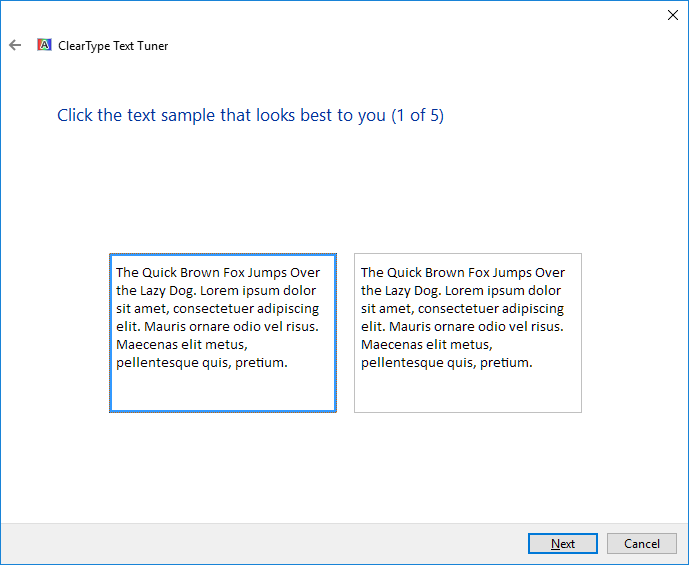 After enabling and adjusting ClearType, text in all programs looked much better without jagged edges. Recently I needed to export a Hyper-V virtual machine to another computer. I decided to export it directly to a USB memory stick. An error occurred while attempting to export the virtual machine. Failed to copy file during export. 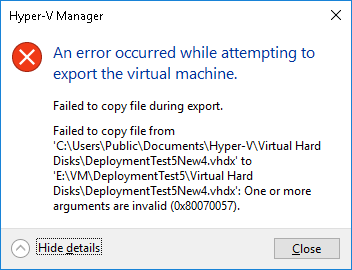 Failed to copy file from 'C:\Users\Public\Documents\Hyper-V\Virtual Hard Disks\DeploymentTest5New4.vhdx' to 'E:\VM\DeploymentTest5\Virtual Hard Disks\DeploymentTest5New4.vhdx': One or more arguments are invalid (0x80070057). I examined the file system on the USB stick and discovered that it was FAT32. FAT32 has a file size limitation of 4 GB. Most virtual machines are likely to be bigger than that and that was also the case here. I decided to empty the USB stick and reformat it to NTFS. Then the virtual machine could be exported without problems.